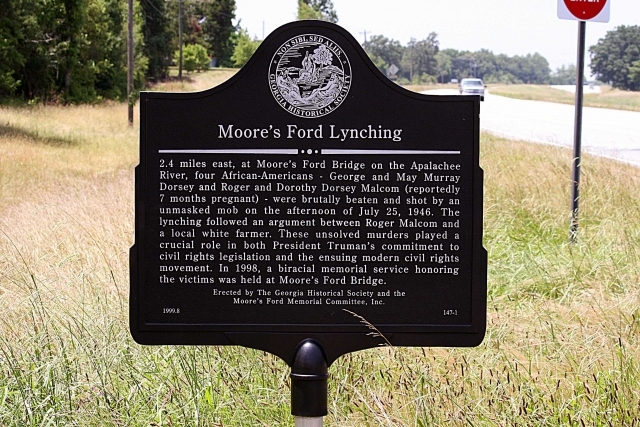 What are the present-day legacies of lynching in the past? Articles highlighted here focus on topics like links between historical lynching and contemporary forms of violence; efforts to memorialize victims of lynching; movements for reparations, and more. Effort Underway to Remove Lynching from Penal Code by Katie Orr. Capital Public Radio, May 12th, 2015. America is Back to Lynching: Baltimore, Freddie Gray, and the Noxious Legacy of White Supremacy by Ericka Schiche. Salon, May 2nd, 2015. Legacy of Lynching Endures in ‘Death Belt‘ by Alex Mikulich. The National Catholic Reporter, May 2nd, 2015. Deaths of Unarmed Black Men Revive ‘Anti-Lynching Plays’ by Hansi Lo Wang. Georgia Public Broadcasting, April 17th, 2015. Whitney Curators on Decision to Display 5 Provocative 1930s Antilynching Prints, by Kyle Chayka. Discusses new exhibit at the Whitney, America is Hard to See.